Now that it’s holiday season, it’s time to shop for everyone in your life. You have your parents, siblings, friends, co-workers, significant other(s)… And that paycheck doesn’t seem to stretch as far as you’d like. But have no fear, once again J.Crew has come to the rescue. With an additional 30% off your entire purchase (with code: GIFTNOW), you can find something festive for everyone, and I mean EVERYONE, on your list. For the man in your life, the Nordic Dot Sweater is totally chic and totally affordable. Coming in at $128 (before the extra 30% off), you’ll have your guy looking sharp while saving some moola for the rest of your posse. If you’re looking for your girls, the baseball cap trend is one of my favorites! 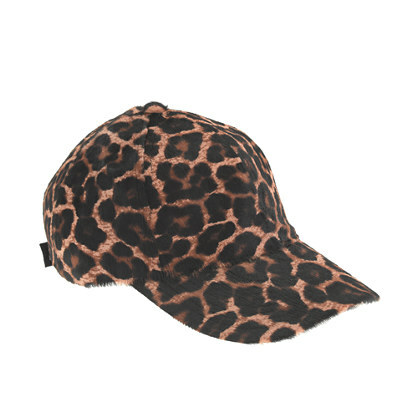 J.Crew makes a few sassy renditions: a Houndstooth Cap in fushia and a gorgeous Calf-Hair Cap in leopard print (warning: not for the faint of heart). Any of the Lulu Frost bling will surely make someone smile, and even the shoes are lust-worthy. When in doubt, a gift card works too… Just make sure to write a great card. Remember, when it come to gift giving, it’s really the thought that counts.